Treble-chasing Bayern Munich eased past Besiktas 3-1 on Wednesday to breeze into the Champions League quarter-finals with an 8-1 aggregate win. It was a record 11th straight victory in the competition for coach Jupp Heynckes, who had led Bayern to the title in 2013 before retiring, and returning this season. 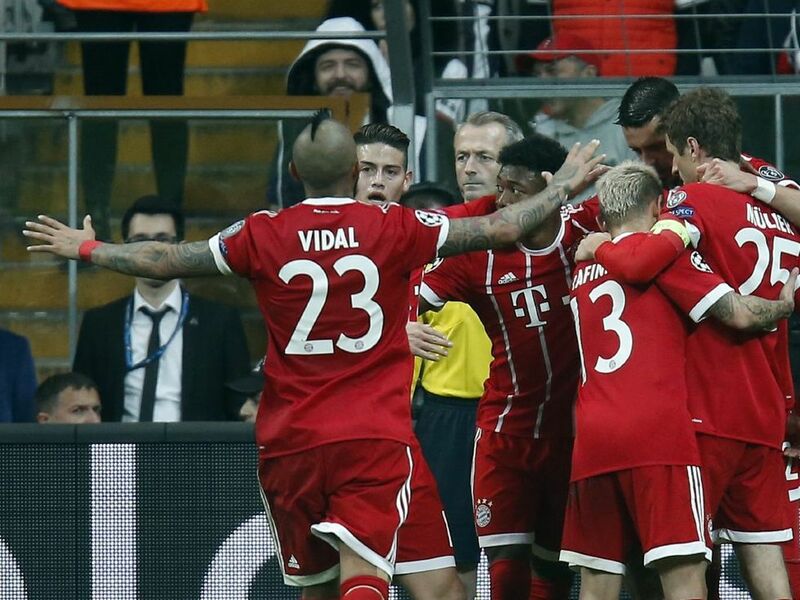 The German side went ahead through Thiago Alcantara in the 18th minute to kill off any lingering hopes of a miracle recovery by the Turkish team after Bayern had crushed them 5-0 in the first leg in Munich.